In the year 1900 New York City was home to one horse for every five people. Horses played a key role in society from transportation to manufacturing to employment. Think of all the employment that revolved around the horse industry: people were needed to feed, care for and clean up after horses. Fast forward 20 years and almost all the horses were gone, thanks to the advent of the combustion engine, and with them the jobs that depended on the horse industry. But, just as the horse industry was getting discriminated, new kinds of jobs that didn’t previously exist were created (truck driver, engine mechanic, modern day factory line worker). Such is the way of creative destruction. We bring up that analogy because the US is undergoing a similar episode of creative destruction currently: one in which factory jobs and truck drivers are being displaced by high skilled professional workers. The path forward dictated by technological innovation is uncomfortable and full of vitriol, but most likely inevitable. As we will see in the charts below, creative destruction is alive and well in the US, and that should give us hope. In the three charts below (borrowed from NPR), we show the most common job by state in 1980, 1990 and 2014. 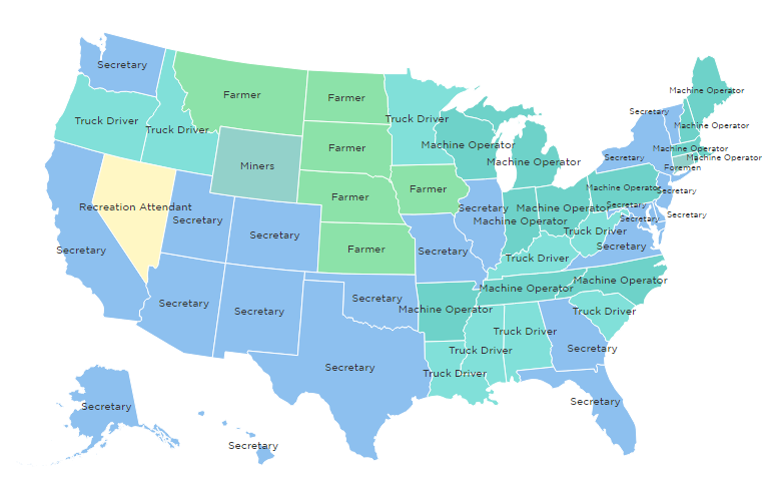 In 1980 most common jobs included machine operator, secretary, farmer and truck driver. Machine operators were prevalent in the Great Lakes region, the northeast and the southeast – all regions with prime access to the country’s largest navigable waterways. “Stuff” could be produced in Michigan and transported all the way to the Atlantic ocean for export without the product ever being put on a truck. 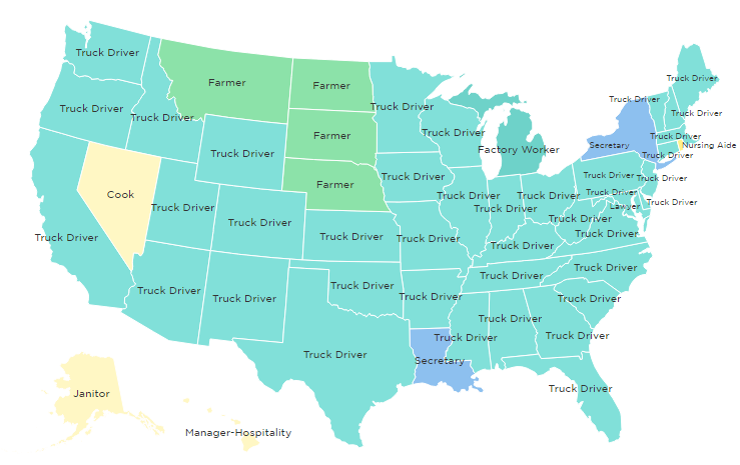 Fast forward to the year 2000 and almost all the factory jobs and secretaries were gone, displaced by truck drivers. 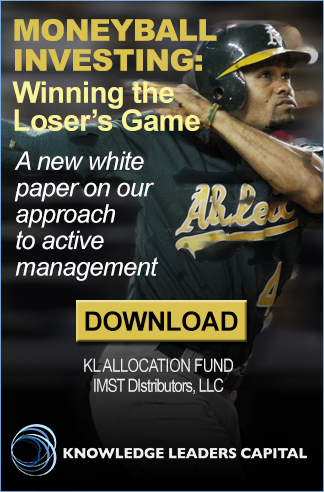 From 1980-2000 inventory management techniques were pushed forward by the adoption of computing in business processes. With the newly minted logistics expertise came a need for a great number of people to transport inputs and outputs from point A to point B. 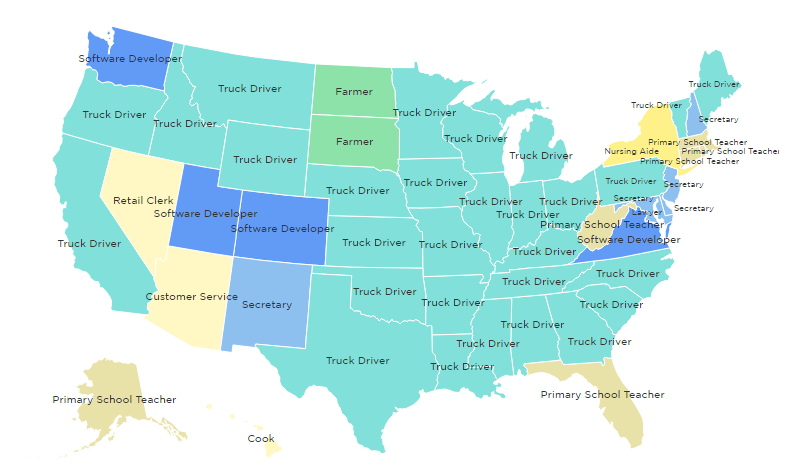 Finally, fast forwarding to the year 2014, we can see that computer developer has started to displace truck driver in Washington, Utah, Colorado and Virginia. 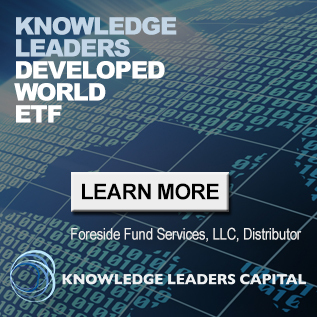 We believe this is only the beginning of a trend that will accelerate as driverless vehicle technology emerges.